Uplift involves 24 knitters at a time. 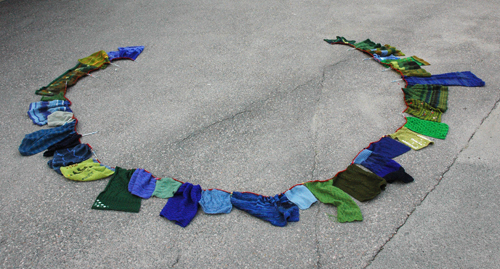 The knittingperformance will take place at Liljevalchs in Stockholm, Sweden, during one day ,16 June 2012. More knitters and visitors are invited to participate during the day. 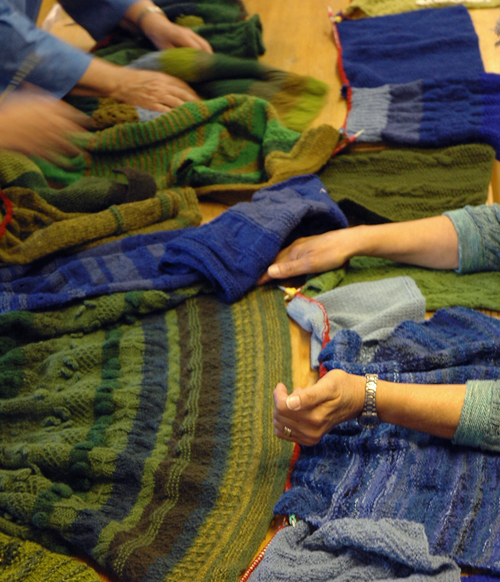 Uplift was prepared in spring 2012, when each of the participants created their own knitting. Medelpad and Sollefteå is telling the story of the forest and the large rivers, Härnösand and Örnsköldsvik focuses of the sea and the coastal landscape. When the four unions meet and knit together their beautiful pieces at Liljevalchs, the "gray stone", Uplift, will be the common theme. Uplift, a work of art created by the place, the people and the craft. 29 maj Sollefteå, Örnsköldsvik and Härnösand Handicraft Societies prepered for the performance. At this occasion, Medelpad was missing.